You know you've spent enough time in camp when you forgot what are "March Holidays". In any case, congratulations on those who survived NSI! Position 1: Black to move. Is 1... a7 a good move? 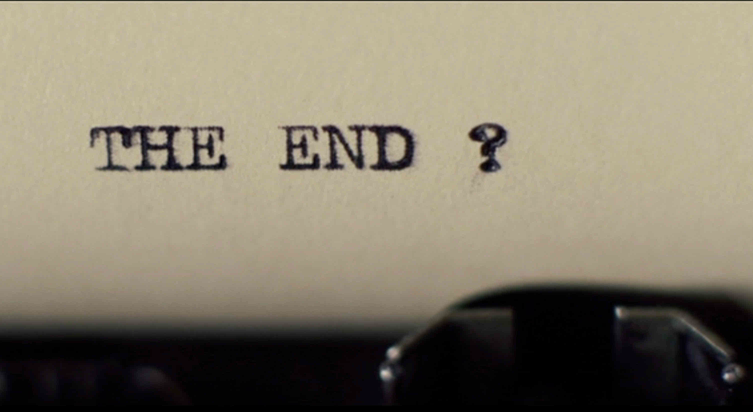 The answer to this is: No! Using either common sense, or by referring to one of our articles discussed some time ago, it is clear that 1... a7?? takes away all legal moves for White's king. Thus, White can force a stalemate by sacrificing his rook. Black should have played 1... Kb4! 2. Rd4+ Kc3, where the mating threats on the back rank will ensure victory. 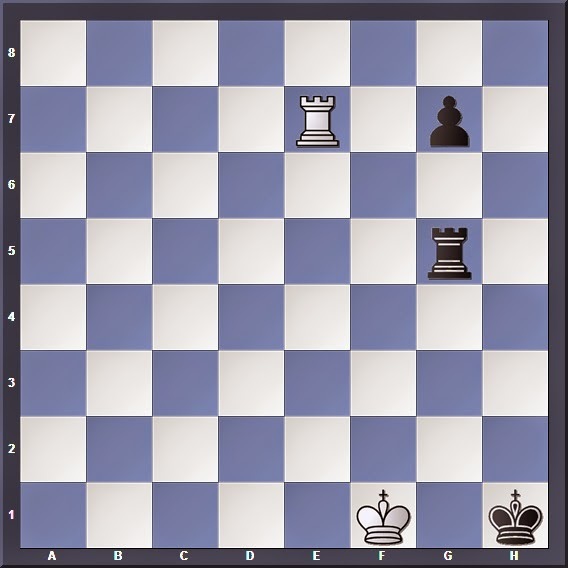 Position 2: Black to move, can he win? 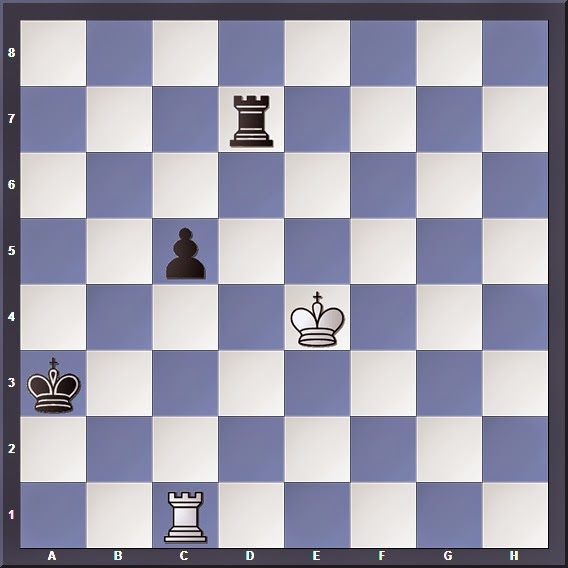 Cutting White's king away from the pawn: The first step to attaining a Lucena Position. 3. Rg7 Kg2 4. Ke3 Kg3 5. Ke4 Rf4+ 6. Ke3 g4 And Black will slowly advance the pawn to its dream position on g2. Notice how Black combines rook checks with the pawn advance. Rook, King and Pawn all work together in this. Black has achieved his Lucena Position. 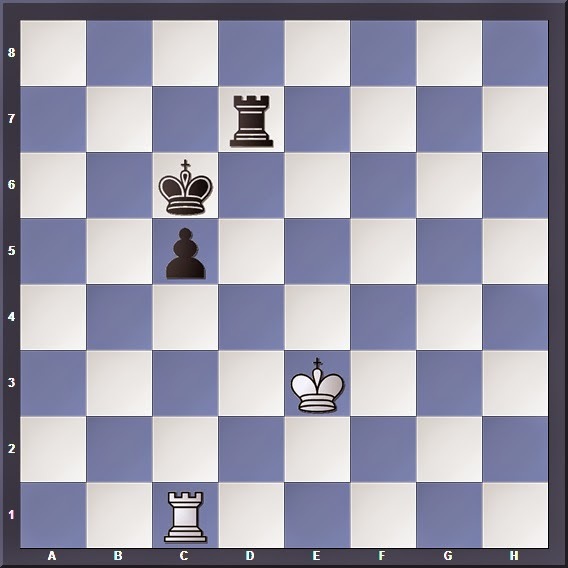 Position 3: White to move. Should he play 1. Ke2 or 1. Ke4? This is a tricky position, which arose from the game Kochiev vs Smyslov, Lvov 1978. Here, we have a pawn on 4th rank position, where White is cut off by only one file on the long side of the board. 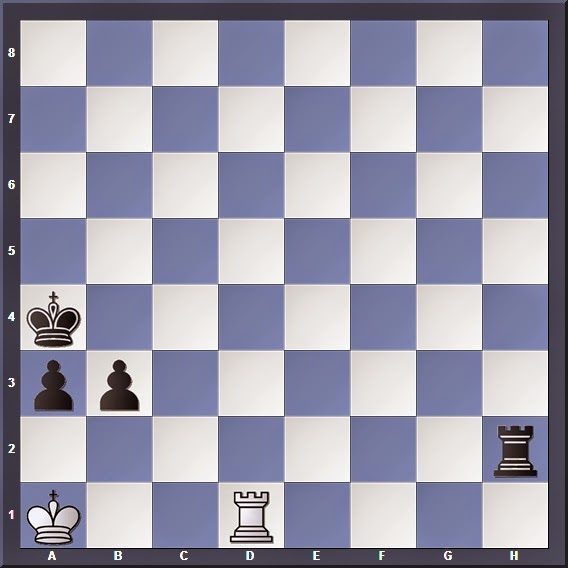 Thus this should be a theoretical draw, so long as White is able to prevent Black's rook from reinforcing his pawn. And now Black can't play 5... Rd5 because White's king is covering that square!. Play may continue 5... Rd4+ 6. Ke3 Kb4 7. Rb1+. So long as White continues eyeing the pawn and raining checks from the first rank, Black can never advance the pawn safely. Black hits the enemy rook first before White. After 8. Rc1 c4 Black has a winning "Pawn on 5th rank" position, where White's king is cut off on the long side of the board. So that's another rook endgame challenge done for the day! Perhaps this should be enough for now... or is it?